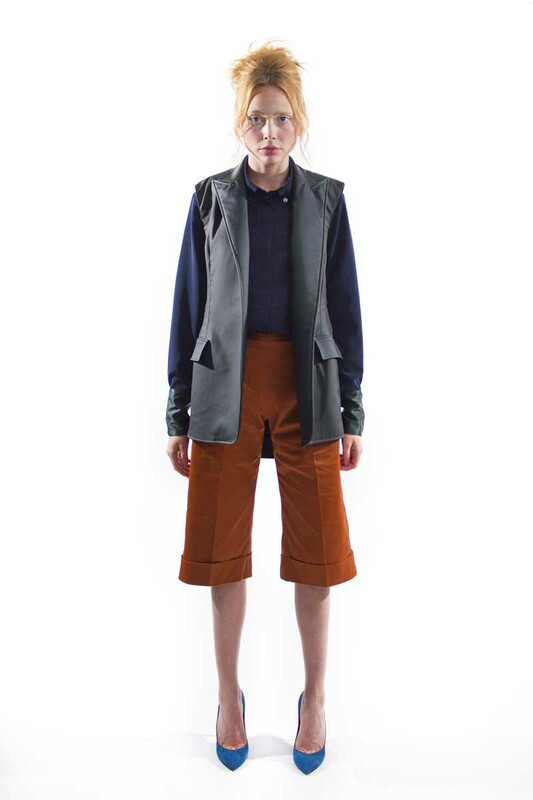 On February 7, 2014, at the Chelsea Market, Jerome Lamaar, designer for 5:31 Jerome proposed the casual hunting tomboy look. Explaining that he did it to explore a feminine polish, Jerome sent out mohair cropped sweaters, motorcycle leather jackets, tuxedo shirts and cocktail dresses made from suede, wool, leather, silk and twill graced the platforms. Radiant pink and berry colors excited the room, accented with autumn tones of hunter green, navy & dark fuschia.